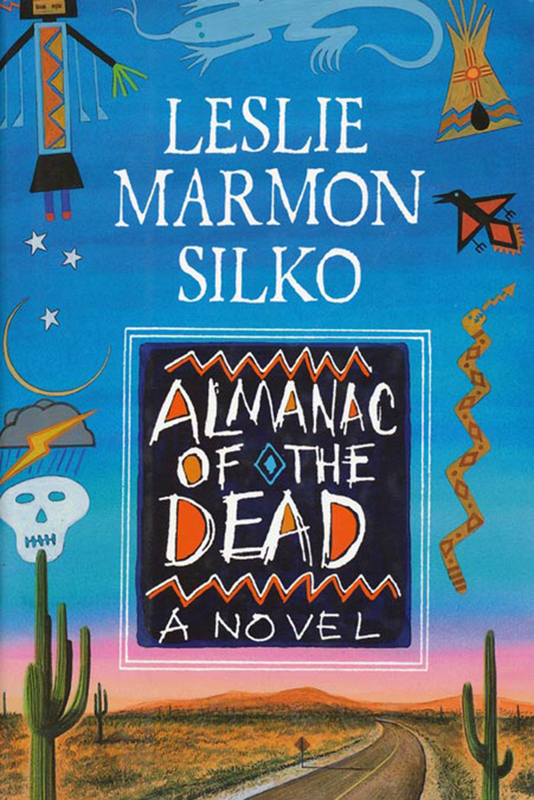 A tour de force examination of the historical conflict between Native and Anglo Americans by critically acclaimed author Leslie Marmon Silko, under the hot desert sun of the American Southwest. In this virtuoso symphony of character and culture, Leslie Marmon Silko’s breathtaking novel interweaves ideas and lives, fate and history, passion and conquest in an attempt to re-create the moral history of the Americas as told from the point of view of the conquered, not the conquerors. Touching on issues as disparate as the borderlands drug wars, ecological devastation committed for the benefit of agriculture, and the omnipresence of talking heads on American daytime television, The Almanac of the Dead is fiction on the grand scale, a sweeping epic of displacement, intrigue, and violent redemption. Leslie Marmon Silko, a former professor of English and fiction writing, is the author of novels, short stories, essays, poetry, articles, and screenplays. She has won numerous awards and fellowships for her work. She lives in Tucson, Arizona.